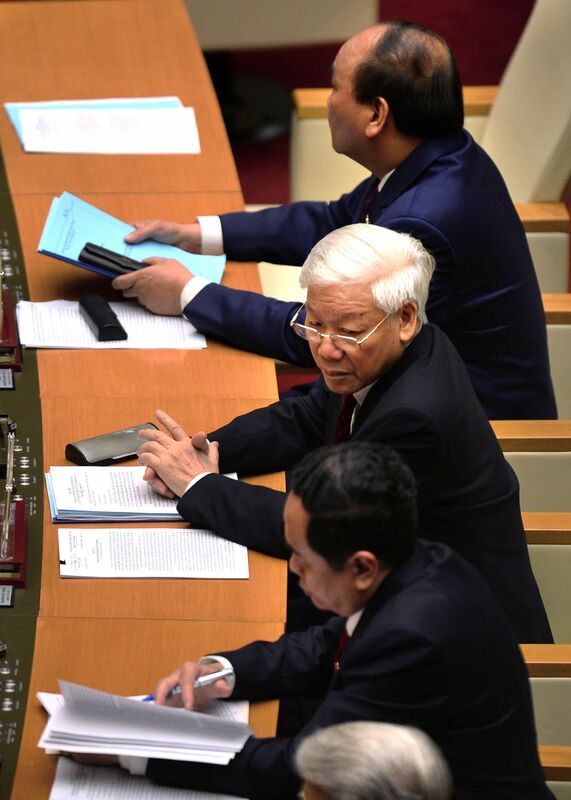 HANOI - Vietnam’s National Assembly on Tuesday elected ruling Communist Party General-Secretary Nguyen Phu Trong, the architect of an ongoing crackdown on corruption, as the country’s new president. The election was largely procedural as the party had unanimously nominated him as the only candidate for the position earlier this month. Trong, 74, became the first Vietnamese leader to hold the two titles since founding president and revolutionary leader Ho Chi Minh. “There won’t be any immediate major changes in Vietnam’s policies,” said Ha Hoang Hop, a member of the International Institute for Strategic Studies and a visiting senior fellow at Singapore-based ISEAS-Yusof Ishak Institute. Former President Tran Dai Quang died on Sept. 21 after a prolonged illness. 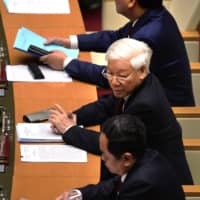 Trong, who became party boss in 2011, has presided over a crackdown on corruption that has seen state executives and a member of the politburo face trial over allegations of financial mismanagement and embezzlement. “I will try my best to fulfill the tasks assigned by the party, the state and the people,” Trong said as he took his oath of office. Hop said Trong would maintain relations with China and the United States, Vietnam’s two top trading partners, but would not lean toward either.